O my Jesus, Thou didst say: “Amen, I say to you, ask and you shall receive; seek and you shall find; knock and it shall be opened unto you.” Hence I knock, I seek, and I ask for the grace of …. Our Father…. Hail Mary…. Glory be…. O Sacred Heart of Jesus, I place all my trust in Thee! O my Jesus, Thou didst say: “Amen, I say to you, whatsoever you ask of the Father in My name, He will give unto you.” Hence I ask the Father, in Thy name, for the grace of…. O my Jesus, Thou didst say: “Amen, I say to you, heaven and earth shall pass away, but My words shall not pass away.” Encouraged by Thy infallible words, I now ask for the grace of…. 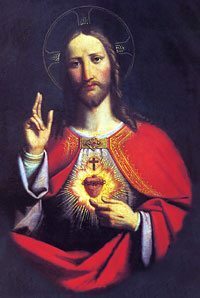 Sacred Heart of Jesus, for Whom one thing alone is impossible, namely, not to have compassion on the afflicted, have pity on us miserable sinners and grant us the grace we ask of Thee, through the intercession of the Immaculate Heart of Mary, Thy tender Mother and ours. Saint Joseph, friend of the Sacred Heart of Jesus, pray for us! Heart of Jesus, rich unto all that call upon Thee, have mercy on us! Heart of Jesus, salvation of those who hope in Thee, have mercy on us! This entry was posted in Catholic Perspective, Prayers and tagged ask, Irresistible, Jesus, knock, Name, novena, prayers, Sacred Heart, seek by TFP.org. Bookmark the permalink.